Whether you're organizing a school dance or a community event, this flyer is perfect for getting the word out. 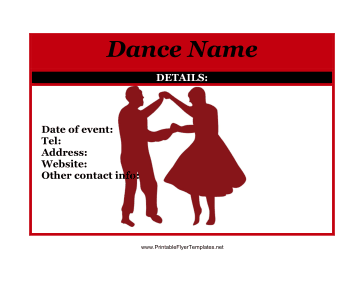 The flyer features the silhouette of a dancing couple and is primarily designed in festive red. Be sure to include the date and time!